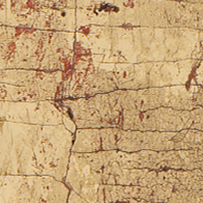 Investigate what's beneath the painted surface through conservation analysis. Over time, much of the gold leaf eroded to reveal the red bole beneath. Bole is a clay rich in iron oxide; made into a paste, it provides a layer to which gold leaf adheres. 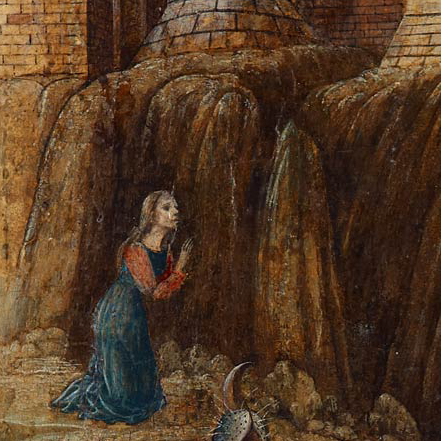 The conservator restored abrasions in the area near the rocky cliffs with careful in-painting. A vertical area of damage appears at the lower right side of the work. Restoring the gold leaf helps us to see more clearly the artist's original intentions. 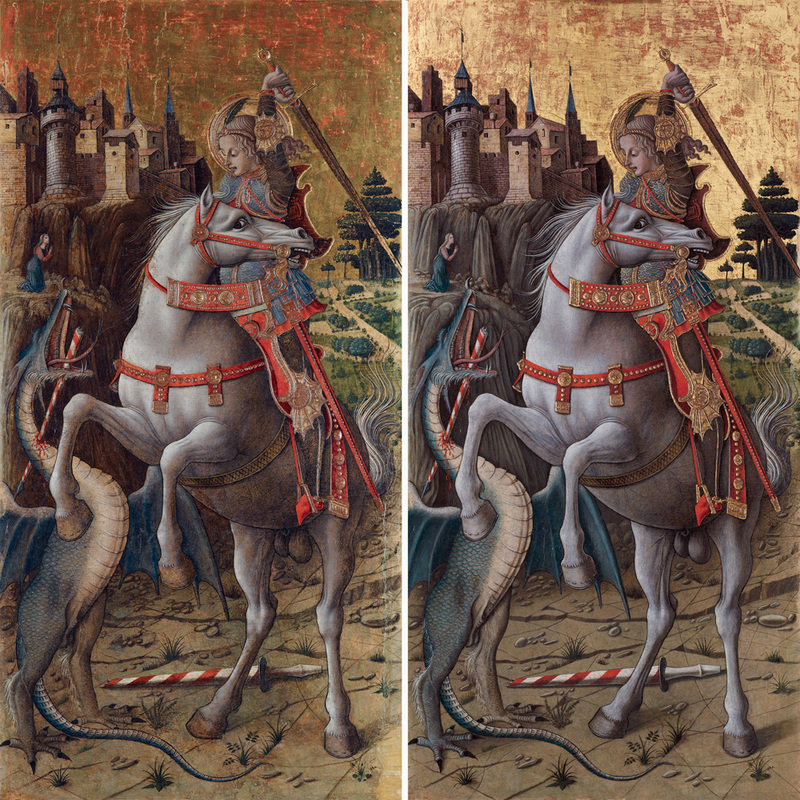 For a 550-year-old painting, the Gardner’s Saint George Slaying the Dragon could have been in worse shape. Still, a crack marred the lower right side. Delicate gold leaf had worn away from its surface and the aging varnish gave the painting a faded yellow patina. Saint George was due for a facelift. 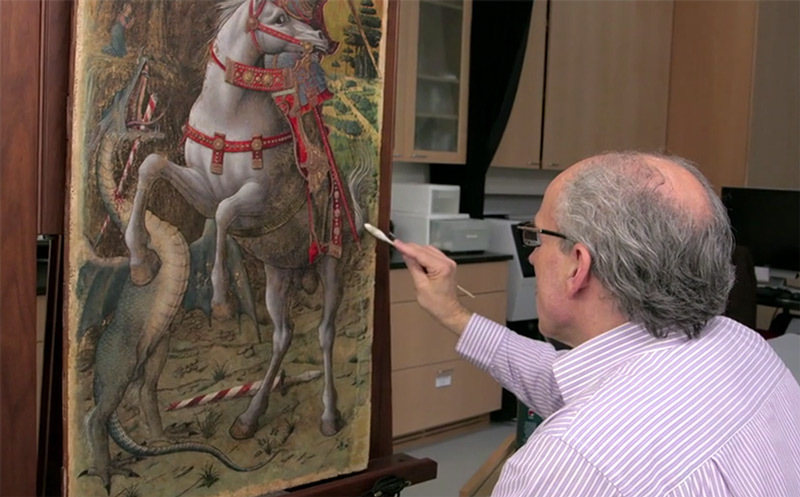 Gianfranco Pocobene, John L. and Susan K. Gardner Chief Conservator, cleaning Saint George Slaying the Dragon.